Vembu is quickly becoming recognized in the industry as a software company offering a tremendously powerful suite of products all in one pane of glass for backing up virtual, physical, and cloud infrastructure. Vembu’s BDR Suite products allows functionality for backing up the major hypervisors being used in the enterprise datacenter today, including VMware vSphere and Hyper-V infrastructures. Addtionally, physical workloads can be protected as well including physical servers and workstations by way of disk image backups. Physical workloads including files and folders can be protected using Vembu network backup as well as protected to the cloud by using Vembu’s Online Backup solution. Vembu BDR Suite covers cloud workloads as well such as Office 365 and G Suite for business allowing item level restores. Vembu BDR Suite 3.8 has made strides across the board with a notable new offering – unlimited free backups for three virtual machines or limited backups for unlimited virtual machines. Let’s break down both offerings and take a look at the features of each including Vembu BDR Suite Unlimited Free Backups. After the 30 day trial version has expired for Vembu BDR Suite, users can choose between two options – Unlimited features for three virtual machines, or limited features on unlimited virtual machines. Let’s look at the features of the first option. The free edition of Vembu BDR Suite includes the following unlimited features available for three virtual machines. 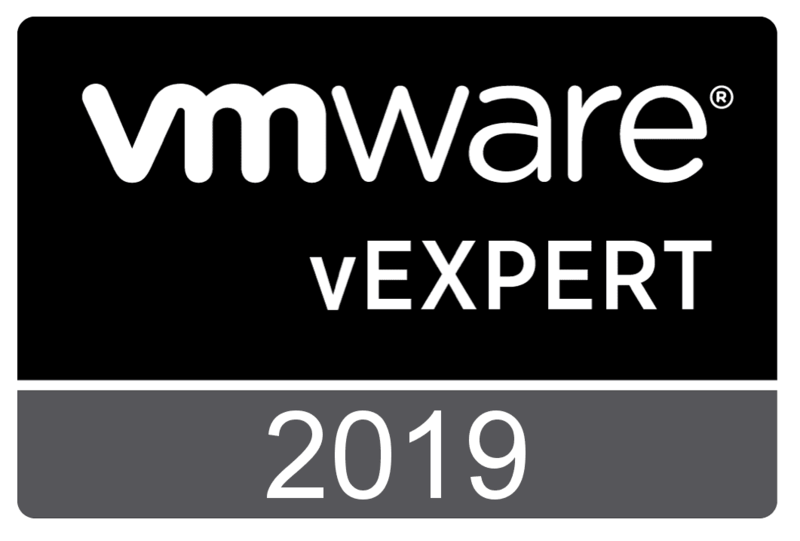 Vembu Agentless backups for VMware – Vembu does not require an agent installed in the guest operating system, allowing easy management and interaction with guest virtual machines at the hypervisor level. 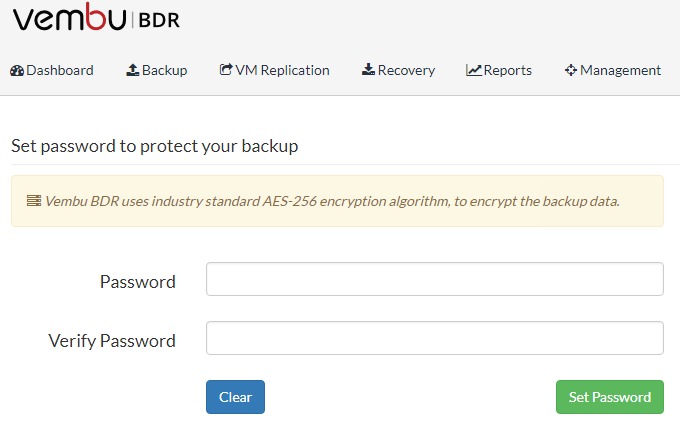 Disk Image backups with Vembu BDR Server – The ability to perform Disk Image Backups are now built into the GUI and controlled through Vembu BDR Server. Additionally, proxy agents are no longer needed unless being performed in the distributed deployment configuration. 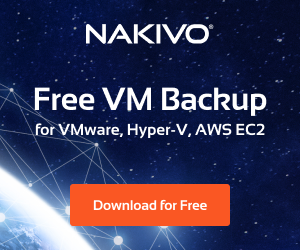 Full VM Backups – You can backup the full virtual machine using Vembu BDR Server including the operating system, data, and virtual machine settings. All are captured using the Full VM Backup. 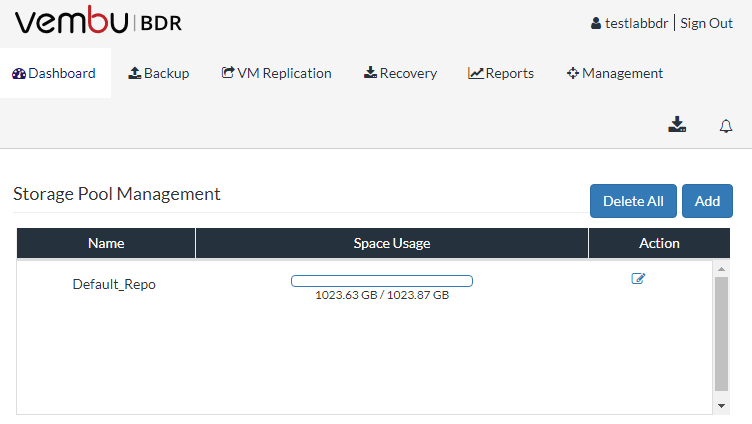 Storage Pooling – This is a new feature with Vembu BDR Suite 3.8 allowing administrators to pool together disaggregate volumes presented to the Vembu BDR Server. Vembu is then able to pool together the aggregate space of the available volumes. Additionally, the disks can be presented using differently technology backings such as NFS/CIFS, iSCSI, and Fiber Channel. Using Performance enhancing transfers – SAN and Hot-Add Modes – Vembu is able to communicate directly with SAN storage, bypassing the production network which greatly increases performance. Also, using Hot-Add for snapshots allows performance gains for transfers as well. Auto Authorization – Another new feature found in Vembu BDR Suite 3.8 that allows preregistering proxy agents using a generated registration key unique to the respective Vembu BDR server. Encrypted backups – Another new feature with 3.8 is the ability to provide encrypted backups to disk based backup jobs. A custom password can be assigned to the backup server so that backup data will be encrypted. The password is required for restoring and accessing the backup data. 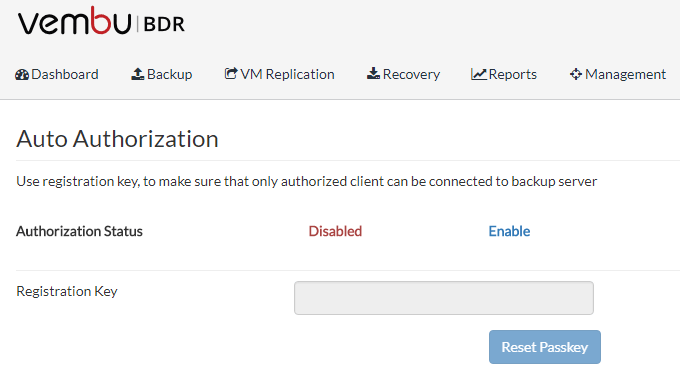 File Level Restore from the Vembu BDR Server GUI – The file level recovery is available from the BDR server GUI and allows for choosing specific files and folders from both backup and replication jobs where user can choose items for restore either from image backups or VMware replication. The second option is attractive as you can protect unlimited virtual machines in your virtual environment, with limited features. Let’s briefly look at the features/functionality that will be limited if you choose the unlimited virtual machines option. Application Aware Processing – Application aware processing allows for consistent backups that are application aware. Backing up applications such as Microsoft Exchange Server and Microsoft SQL Server will be limited in the “unlimited VMs” option. Changed Block Tracking – Changed Block Tracking allows for copying only the changed blocks on each backup iteration after the first full backup. This functionality will be limited to the three VMs option. Retention Policies – Utilizing the retention policies will be limited in this option. The retention policies allow retaining a number of recovery points that one wants to keep for configured backups. Near Continuous Data Protection – The Near CDP schedule, every 15 minutes, is limited to the three VMs option. This allows RPO times of less than 15 minutes. 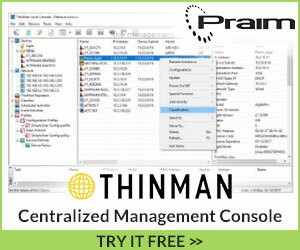 Quick VM Recovery – This technology allows for booting the virtual machines directly from backups. This functionality is only available to the three VMs option. Automated Backup Verification – This allows for checking backups to make sure they are recoverable using a screenshot verification process. 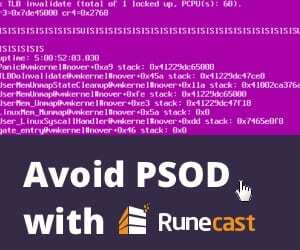 The screenshot will be emailed to the configured address. 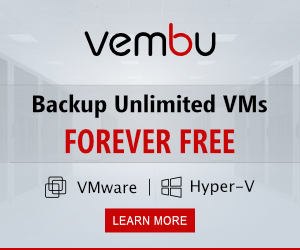 I really think Vembu has nailed their offering here which allows for unlimited backups from a feature standpoint for three virtual machines, or feature limited backups for unlimited virtual machines. Organization can make the choice of which option would be best for their particular use case. 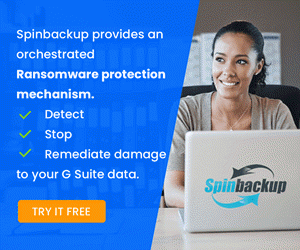 I think this would be a fantastic product offering for organizations looking to backup a development or test environment or simply have a fully featured product to kick the tires. The great thing about the free product is you still get many of the enterprise features across both options including inline compression, access to the Vembu Hive File system, and encryption. Vembu is definitely a product to watch as they are certainly staying in tune with the needs of their customers and those in the industry in general. Be sure to check out the Vembu BDR Suite by downloading the product here. The Trial version will transition over to the free version with the chosen options covered above.